Heat the olive oil in a large stockpot or Dutch oven over medium heat. Add the pork and cook, breaking up with a wooden spoon, until browned. Add the onion, carrots, celery and garlic along with the dried seasonings and continue to cook until the onions are soft and translucent, about 5 minutes, while scraping up any browned bits from the bottom of the pan. Add the cans of tomatoes, breaking up into small pieces with the spoon. Add the kale, chicken broth, vinegar, salt and pepper and bring to a boil. 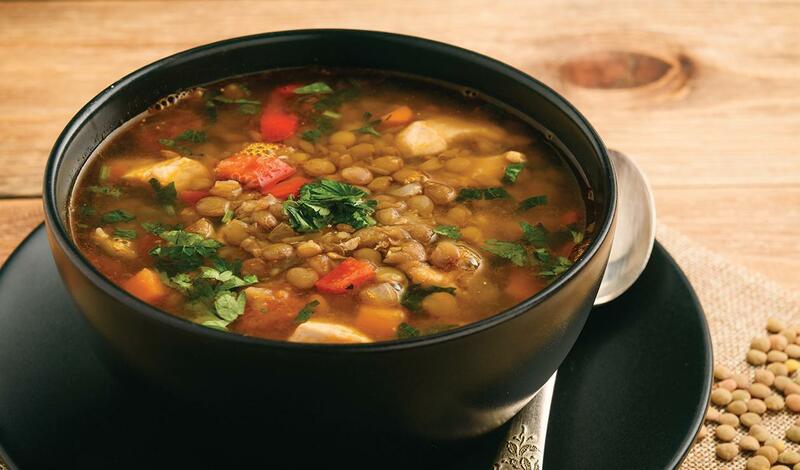 Add the lentils, return the soup to a boil, then reduce the heat and simmer gently for 25-30 minutes. Serve in bowls, drizzle with olive oil, and top with Parmesan cheese and chopped parsley.